I saw this amazing Facebook post by my friend Gina Waterfield. Her writing style is captivating and real. She speaks authentically. This piece spoke to me as I’m sure it will you. Enjoy. We stood in the doorway to my office and we talked. We first spoke about how hot it was. I complimented her on her blouse and jacket and of how beautiful she looked. She said “thank you” and that she wears a suit jacket to work since there are studies revealing it is viewed as being more professionally authoritative, citing her professional education and guidance. She is poised and confident. I like her and admire her achievements. I stood facing my colleague in my sleeveless tank, navy and white polka dotted palazzo pants and leopard print pumps. Even this “look” was a deviation from my norm in-office work attire. In that moment I had a pang of critical self-awareness. I checked my own thoughts. It took about thirty seconds to remind myself of who I am, and of my own professional value. It happens just. like. that. In just one moment, a subtle and perhaps well intentioned comment is made, and our mind can go from confident to self-doubt and to an internal inquiry about being “good enough”. Shaking off the negative stories we can assimilate to over a lifetime begs for immediate and conscious self-awareness. It’s why the language we use and hear matters. Asking for clear intentions can ensure mutual understanding. Our self-worth, energy, and measured results are wearable attributes. Avoid taking anything personally-it is rarely about us. The exception is to examine why something triggers an emotional response in us in the first place. A conversation about business attire happened to come up last week with an extraordinarily talented professional development client, regarding business interviews. She is remarkably astute and more skilled in her field than most. I believe she’s savant. She loathes getting into a business suit. It feels like a binding straight-jacket to her. The deal is, we are all more than good enough, regardless of what we wear. Granted, there may be occasions to “polish up”. But, if we feel awkward and uncomfortable in our clothing, we will “wear” that energy, and that is not professionally appealing and confident to anyone involved. Rigid pretentious patriarchal professional ideology is in many ways outdated. Women business owners today are creating fresh models for success that includes heart, and we are dominating in many industries. 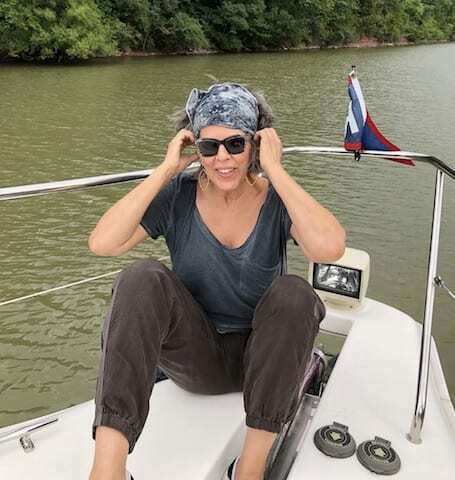 My own success as a businesswoman, as a feminine leader, is evidenced in the tangible results my clients achieve while in my program, and in their self-actuated progress after our work together is finished… whether I wear a bandana and jeans or a suit. I show up for them fully engaged at every appointment, and often in between. I am an accomplished businesswoman who cares about the integrity and quality I bring to the field of holistic health, to my clients, and to people in general. The takeaway is, wear whatever respectfully represents YOU as a feminine leader. Show up and bring your experiential and learned wisdom, your heart, your soul, and your guts wherever you are. Wear THAT with confidence and authority!